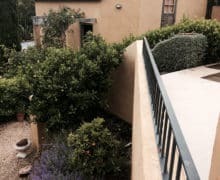 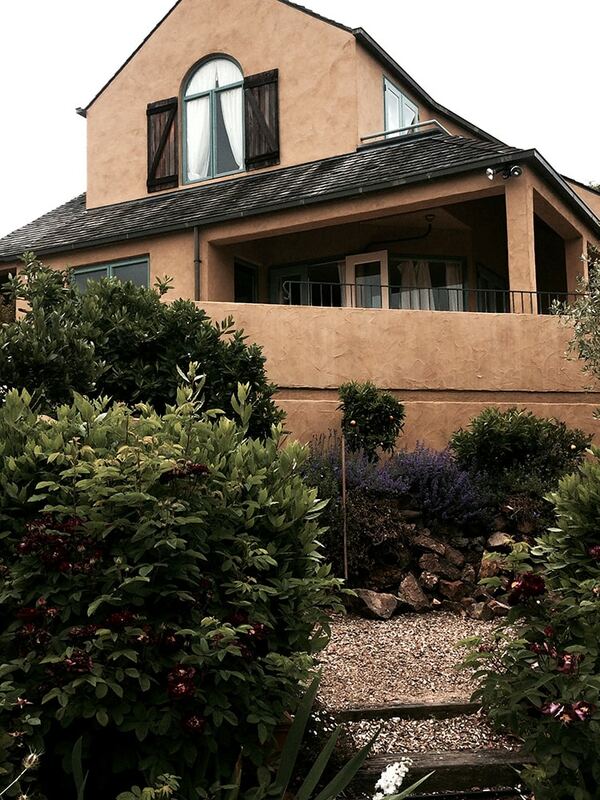 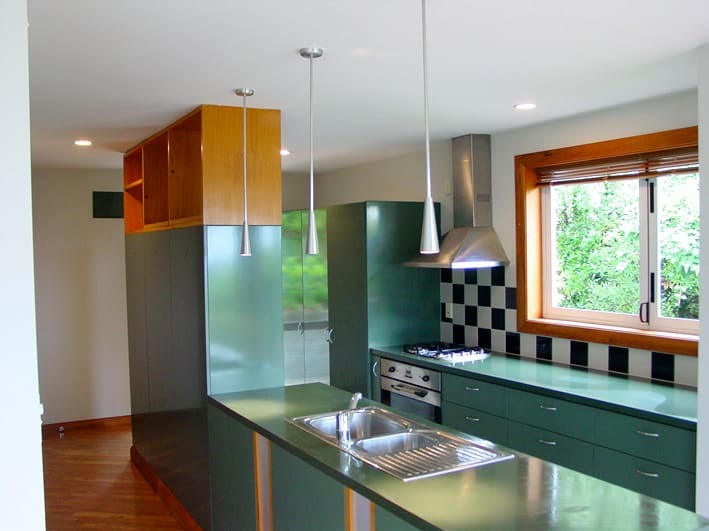 Browse through some of the latest projects by Edgeware Renovations, a painting company. 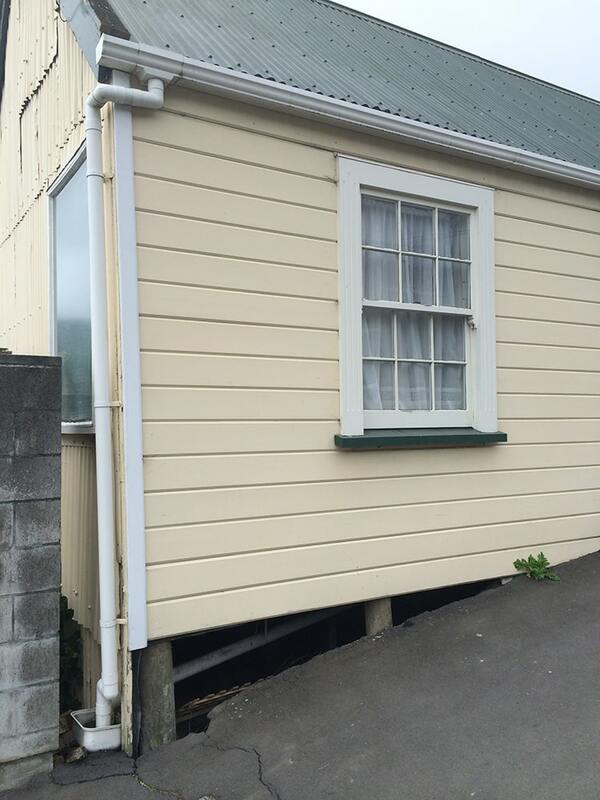 Christchurch homeowner or running a business? 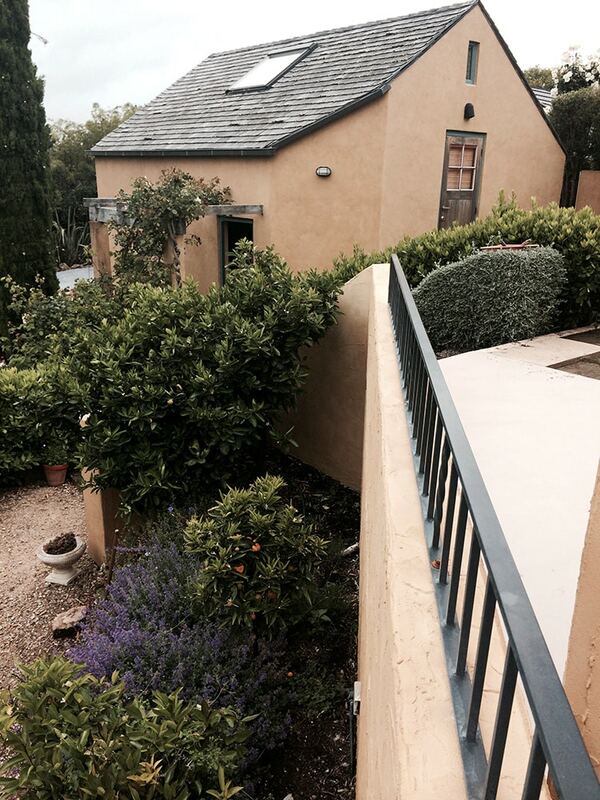 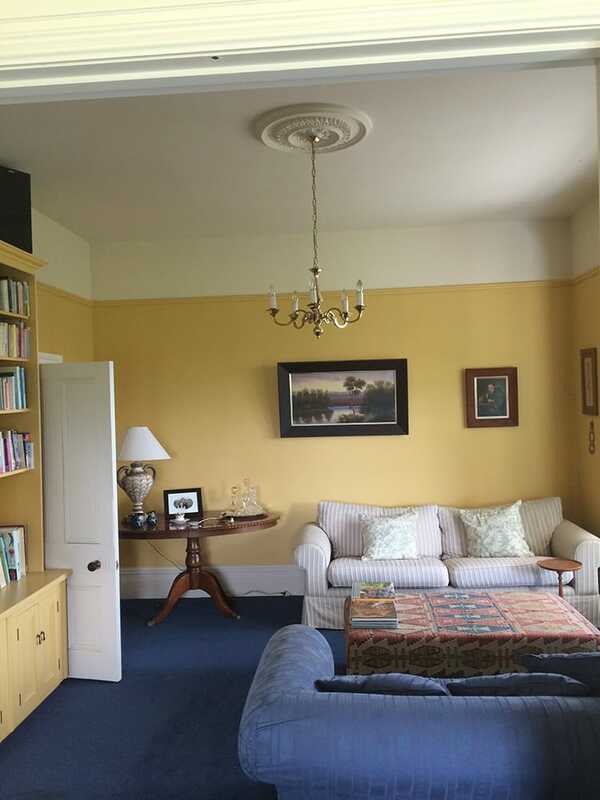 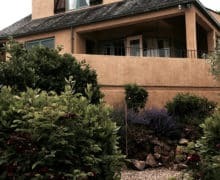 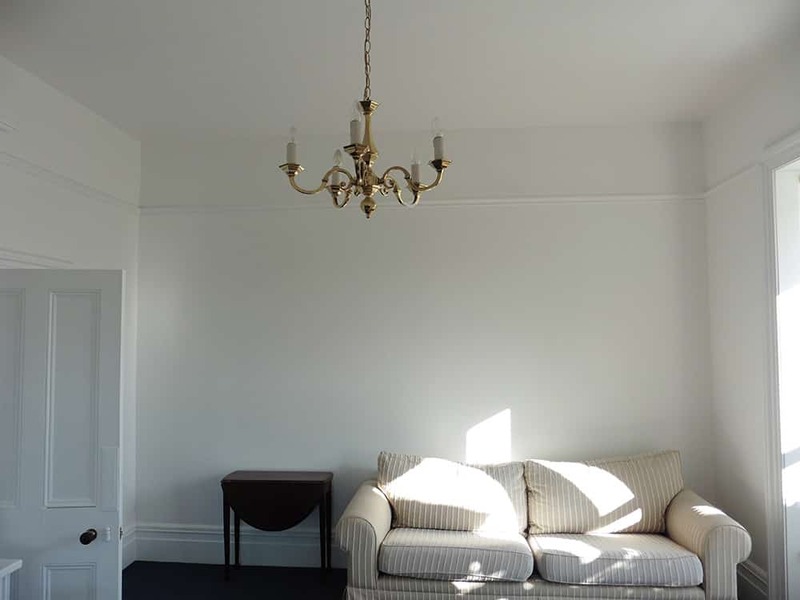 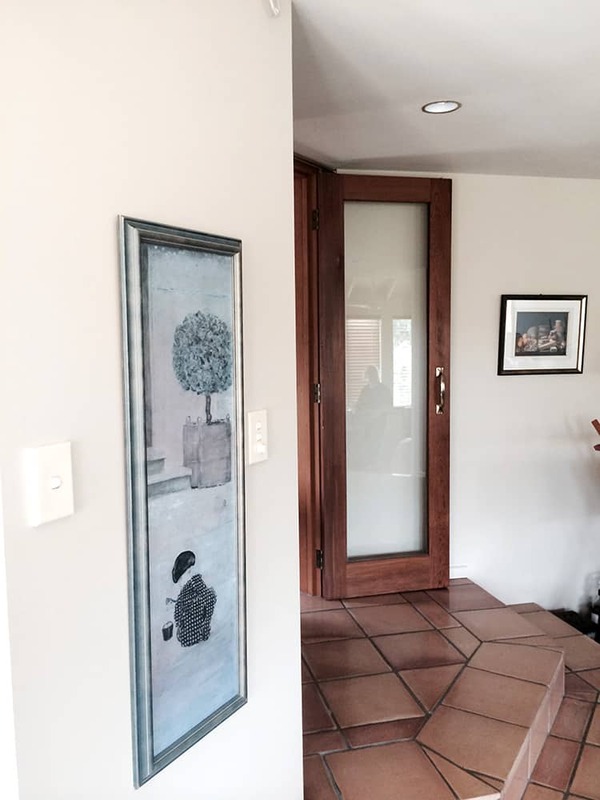 Get ideas for rejuvenating your property with our painting, renovating and extrior or interior plastering Christchurch examples. 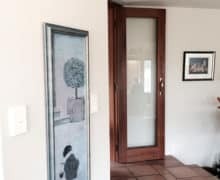 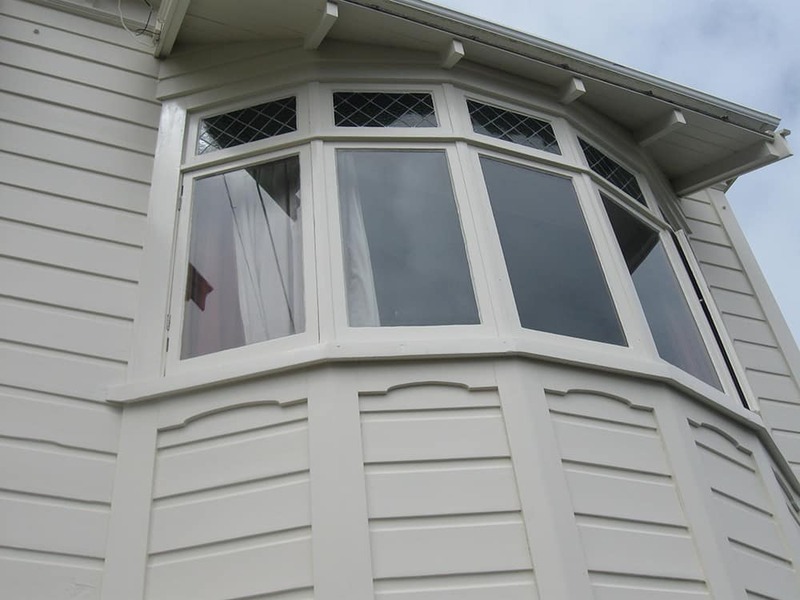 Check here for inspiration from new projects completed each month and see the latest projects carried out by our team of renovators and painters in Christchurch. 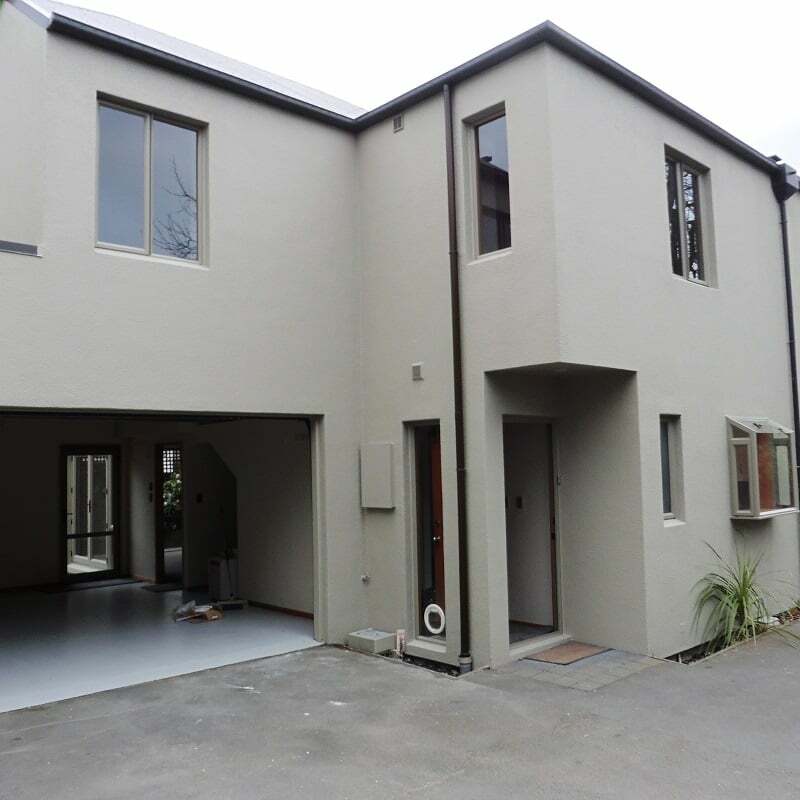 This Christchurch house painting project by our Edgeware Renovations team involved updating the colours to a more modern palette and included painting the roof. 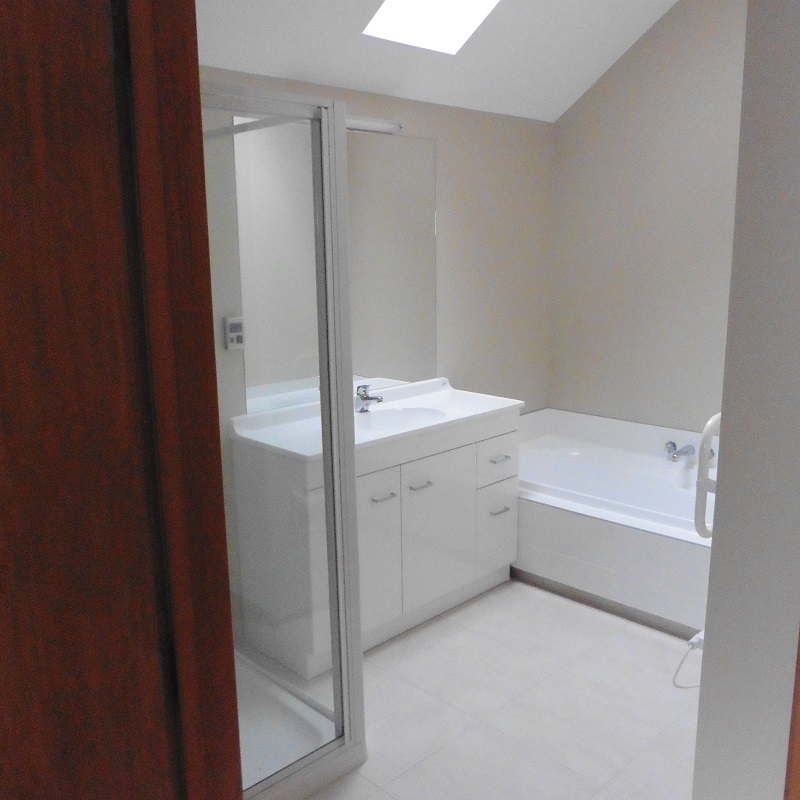 Andrew and Darrol are both experienced colour-guys and enjoy discussing them with our clients. 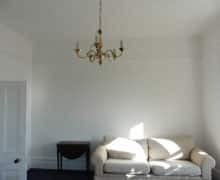 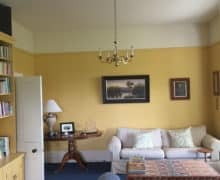 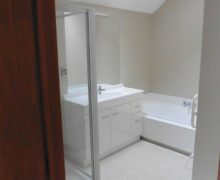 White and light grey seem to be in vogue and the colours of choice to cover repairs on interior plastering. 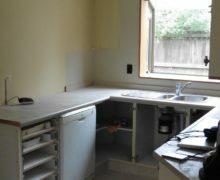 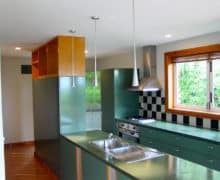 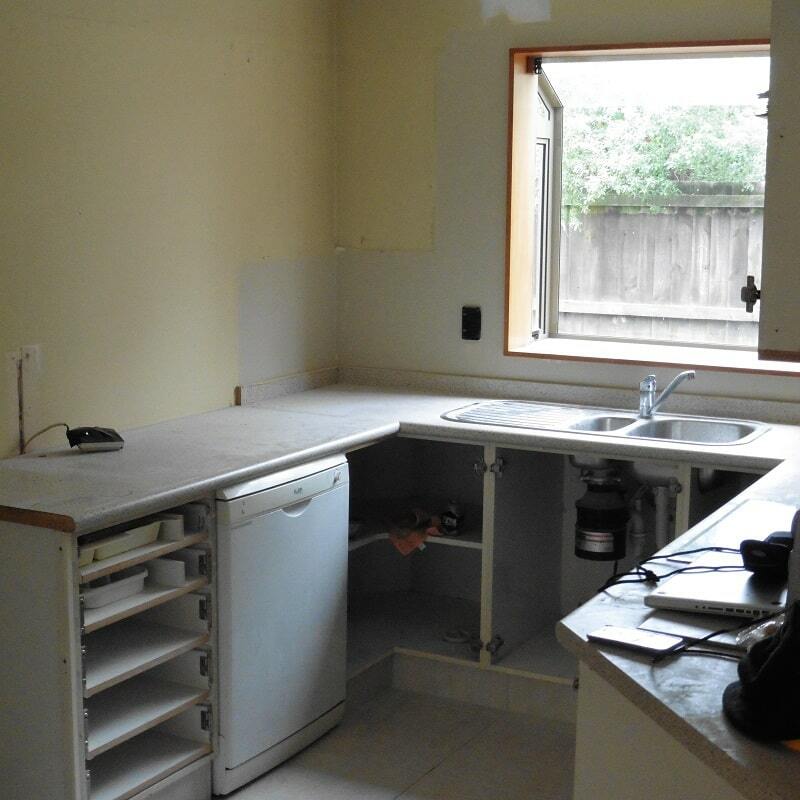 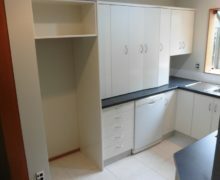 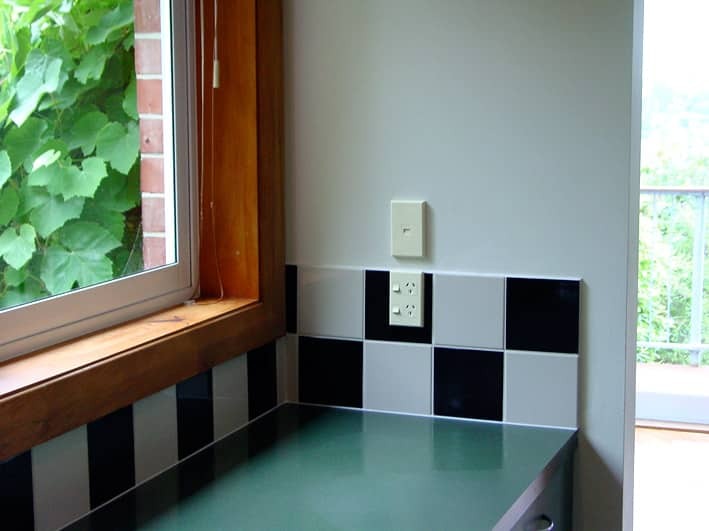 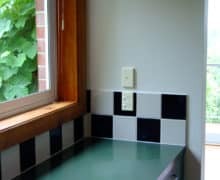 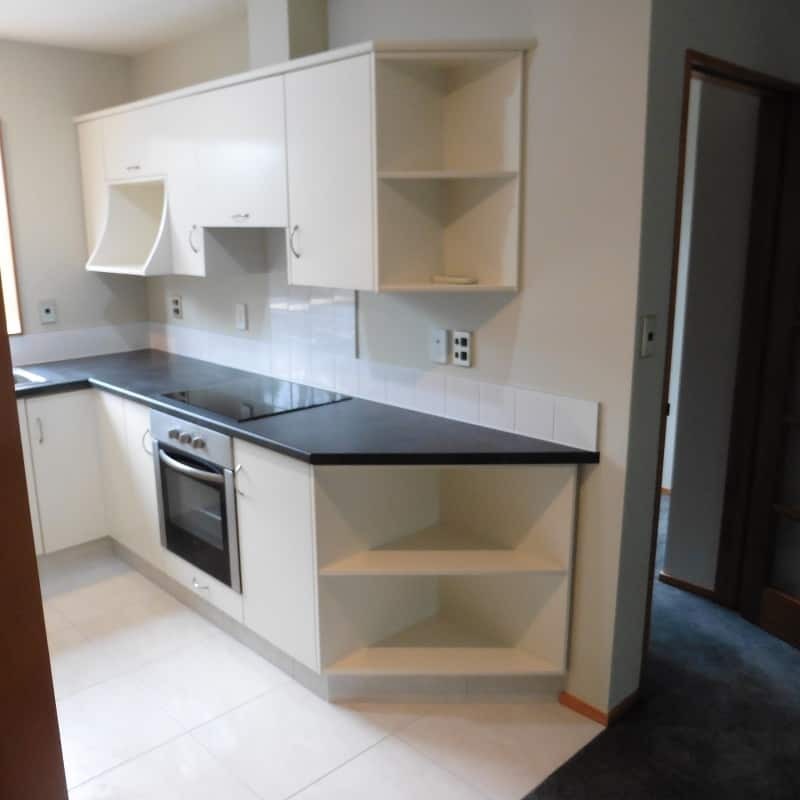 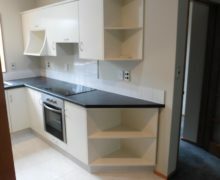 Christchurch earthquake repairs provided the chance for this family to freshen up the kitchen and lounge areas. 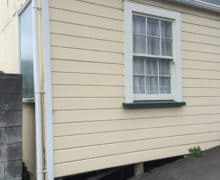 Modern houses rarely capture the character of older weatherboard homes – with the only bane being the requirement for regular painting. 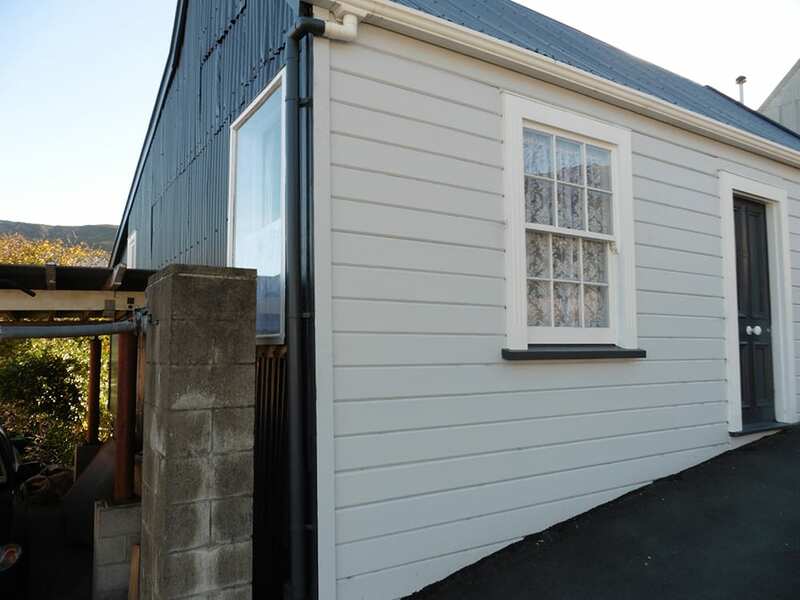 Our house painters in Christchurch restored the charm of this character home with an exterior paint update. 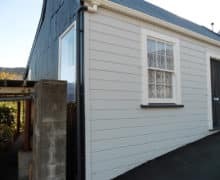 We are more than just a painting company, Christchurch customers can rely on us to carry out building maintenance, repair boards, fill cracks, sand and tidy up where needed and paint roofs and fences as well as windows and walls. 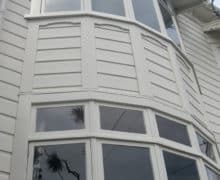 Many plastered homes need crack repairs and weatherproofing by a licensed applicator of Rockote. 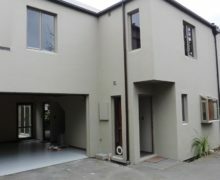 Christchurch has kept us busy with plastering projects like this one. 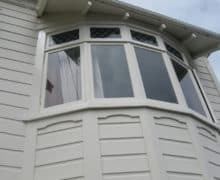 Our team can fill the gaps, match the style of plastering, and complete top coats for a professional finish. 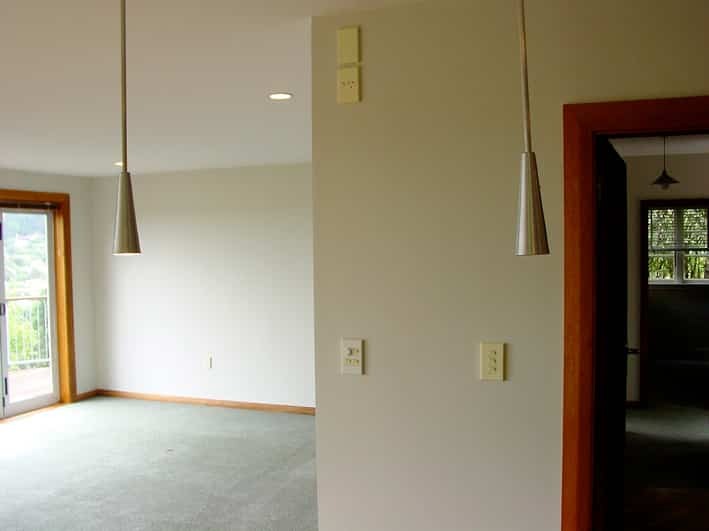 The fresh colour scheme lightened these common areas. 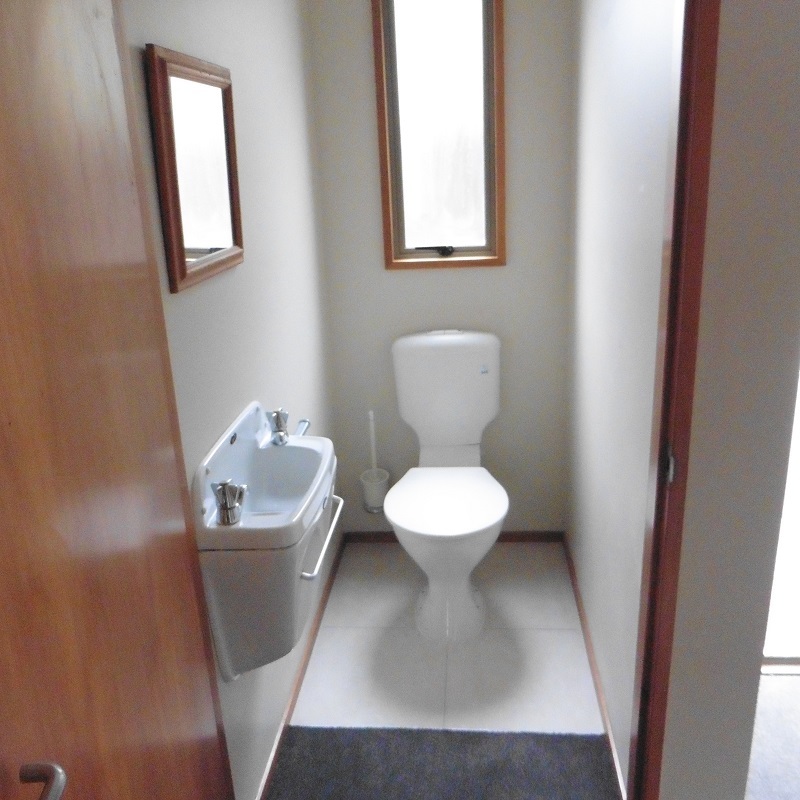 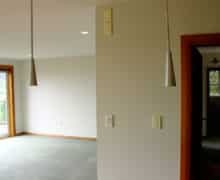 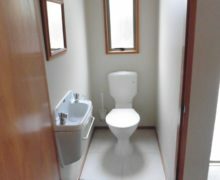 As a renovation and painting company, Christchurch wide, the team at Edgeware team also perform interior plastering. 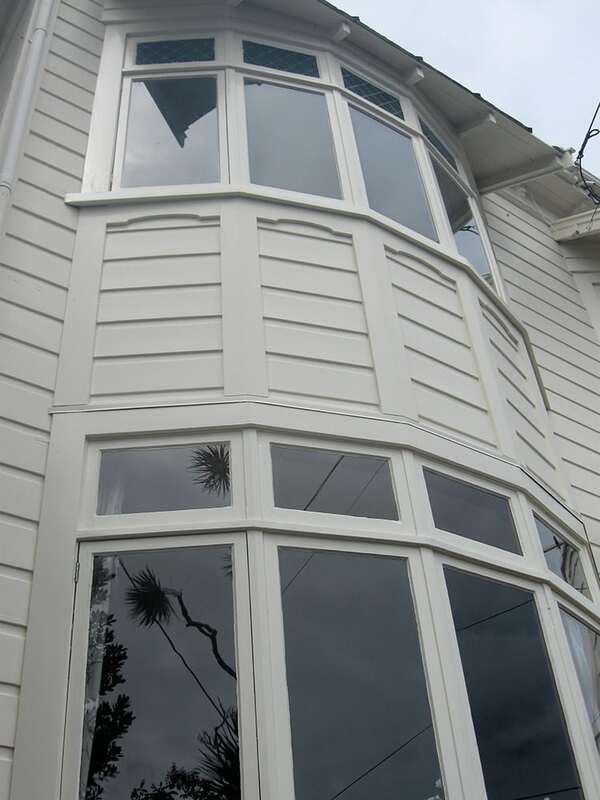 Christchurch homes and businesses are transformed by careful fibre tape plaster repairs and fresh coats of paint. 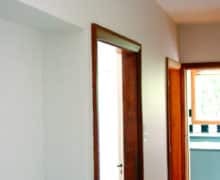 For interior plastering, we rake out cracks and imperfections in the plaster before using fibre tape and tradeset 40 heavy duty plaster, followed by a coat of Plus 4. 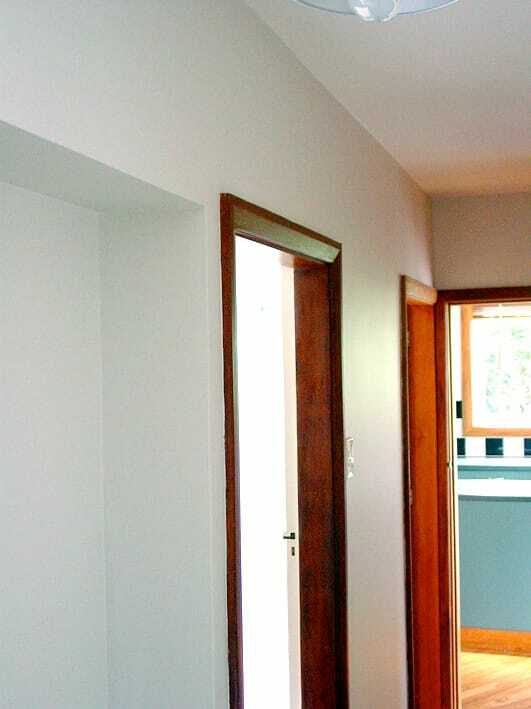 A top coat of finishing compound is then applied and sanded smooth for a seamless finish. 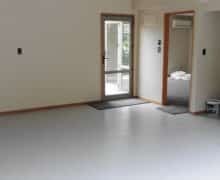 Our team protect flooring with a carpet protection film (applied before beginning work). 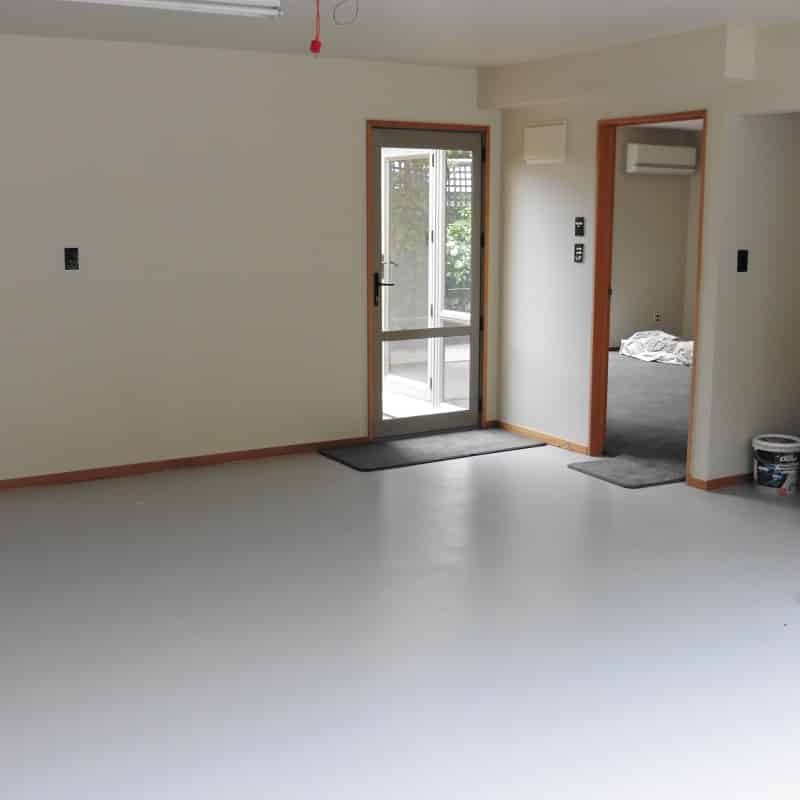 A 2 pac epoxy heavy duty painted floor. 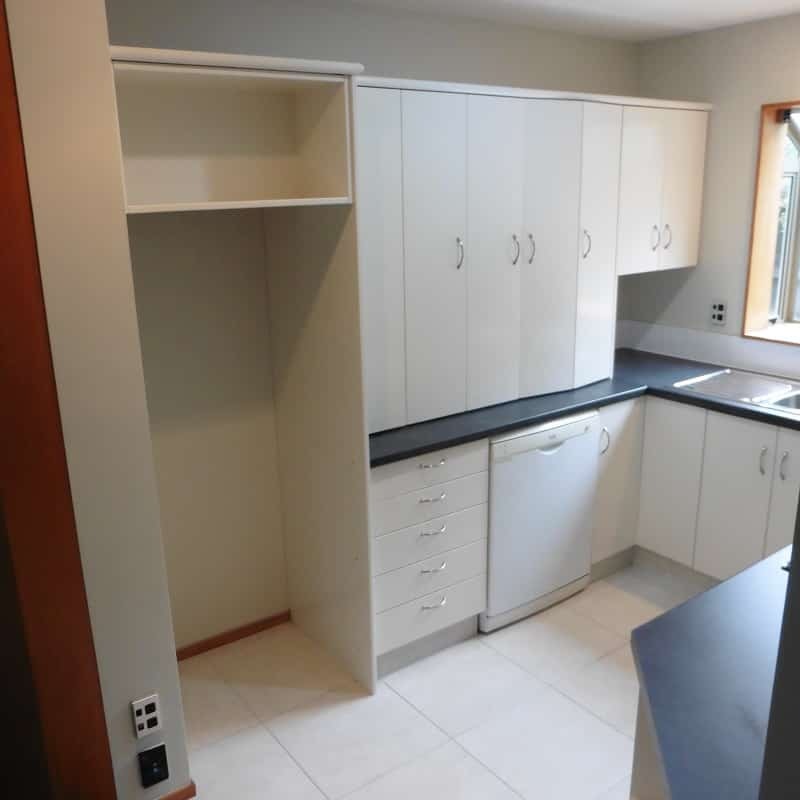 For any residential or commercial projects with wallpapering, plastering, carpentry, home alterations or plastering (or if you just need experienced, reliable painters in Christchurch), owner-operator Andrew Fox welcomes your enquiry by email or phone.